Cubs third base coach Mike Quade was already at home at his apartment when he got the call. It was August 2010 and the call came from Cubs general manager Jim Hendry. Hendry needed Quade to come over to the offices. Quade wasn't going for it, he recalled. If Hendry needed to tell him something, Hendry could tell him over the phone. "I was like, 'I'm not coming to the office. Just tell me, what's up?'" Quade told The Greatest 21 Days recently. "'Did I screw up? What do you want?'" Hendry's response, Quade recalled, was more forceful: "Get over here," Hendry essentially said, Quade recalled. Quade made it back to the offices. Far from having screwed up, Quade was being promoted. Cubs manager Lou Piniella had stepped down to tend to his ill mother and the Cubs wanted Quade to step in. That was Mike Quade, the guy who had spent a quarter century as a minor league manager and later as a major league coach. The Cubs wanted that Mike Quade to be their major league manager, at least on an interim basis. With the vote of confidence in hand, Quade said he still partly felt horrible for why Piniella had to step down and that one of Quade's "favorite people in the world," Cubs bench coach Alan Trammell wasn't offered the job. But the job was Quade's. "I didn't play in the big leagues, so that even made it a more interesting and a bigger journey." Quade went on to manage the rest of 2010 and all of 2011 for the Cubs before his Chicago run ended. He then took two years off before joining the Yankees as a roving coordinator in 2014. 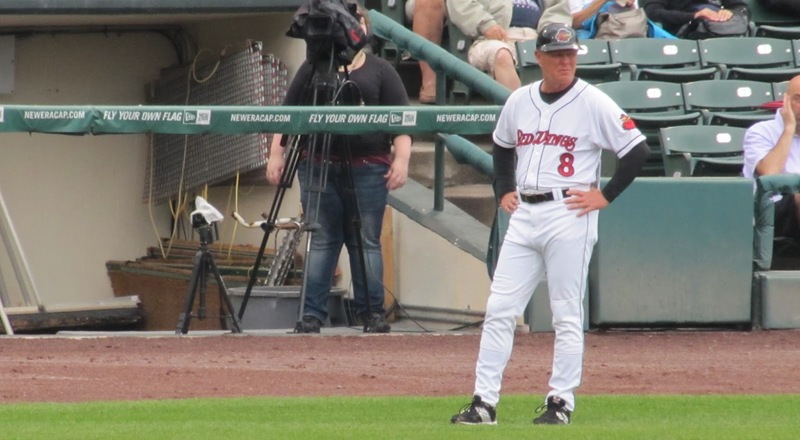 For 2015, his journey is continuing with the Twins as manager at AAA Rochester. 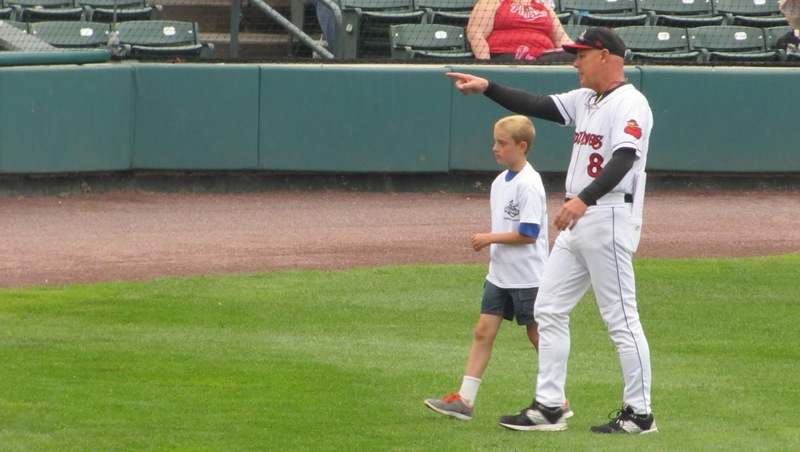 Quade spoke to The Greatest 21 Days recently in his Frontier Field offices in Rochester as his Red Wings prepared to take on Lehigh Valley. Quade's long managing and coaching career began after a "less than mediocre" brief playing career where he made it no higher than AA. 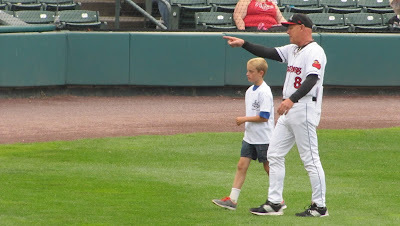 After realizing his playing days were done, Quade accepted a managerial job with the Pirates at single-A Macon, of the South Atlantic League. That start, Quade recalled, was literally at the bottom. Quade said he's sometimes asked what year, of all the years he's managed, was his most important year as a manager. He's had good years. His Vancouver team won the Triple-A World Series in 1999. His Dominican-based winter league team won the Caribbean Series in 1997. He's had some great players play for him. "I tell every one of them," Quade said of the question about his most important year, "My first year, actually the first two years I spent in Macon." "We were horrible," Quade explained. "We stunk. When you're thinking you're full of piss and vinegar and you're 25 under (.500). That gave me, I think, a better perspective than somebody that comes into this thing and has a really good club and wins a bunch of things, rolls along for a couple years and all of a sudden has a bad club and doesn't know what to do. "I started at the bottom," Quade said, "and I think that really helped." Quade started his new career as a minor league manager having just turned 28 years old. His 1985 Macon team finished 56-82. Quade recalled having to make all kinds of adjustments. Foremost among them was learning how to manage a team of players from all over the country and around the world. There was also dealing with the losing while still trying to get better. Quade said the key is knowing how to make adjustments. "People everywhere you go, when you go to a new city ask me, well what kind of manager are you?" Quade said. "I think the best comment you can make about anyone is 'I'm able to adjust.'" He adjusts to the team he has. Quade said the minor leagues teaches coaches and managers that as much as anything could. 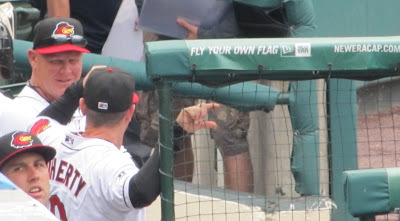 "If you're preparing for a career in coaching and hope to get a chance to go to the big leagues as a manager or a coach, the time you spend in the minors working with different players and having to deal with all the different personalities and stuff, it's a great teaching experience. "And if you make the adjustments and learn from them, maybe you'll get the opportunity," Quade added. 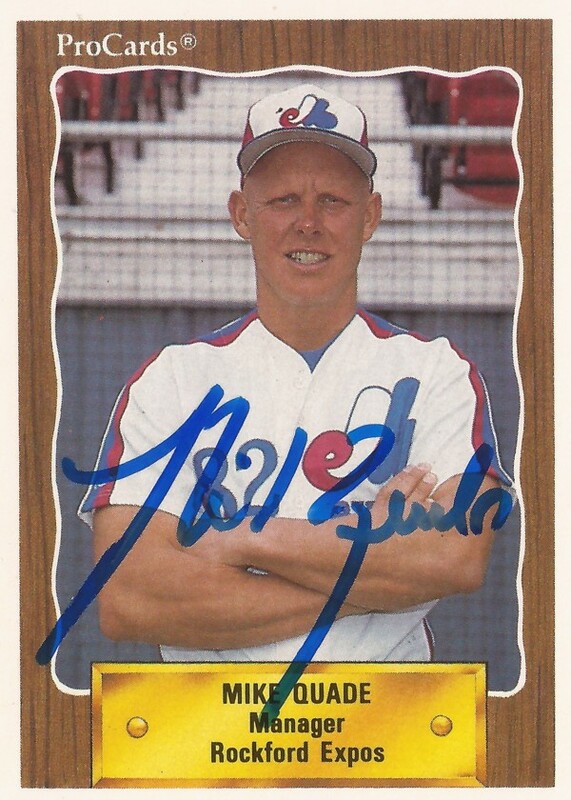 Quade went on from Macon to spend two seasons at single-A Rockford, 1989 and 1990. He then moved on to AA Harrisburg in 1991 and then AAA Ottawa in 1993. Quade got a glimpse of just how much the minor leagues have changed in 2014 as a roving coach for the Yankees. It was the first time Quade had been a roving coach and he got to see all levels of the club's system. He singled out short-season Staten Island's park, a nice little park across from Manhattan. The ballparks and facilities have all been upgraded. He recalled still hearing complaints from young farmhands. "They're griping, complaining and I'm like 'You guys have no idea,'" Quade said.